Since 2009, Donovan has been the designated broker with Renters Warehouse Arizona, holding his broker's license from Arizona School of Real Estate and Business. Having rented more than $1 Billion worth of residential real estate and currently managing more than 200 million worth of property across the United States, Donovan is dedicated to continually improving the company's service offering and creating the best client experience in the industry. 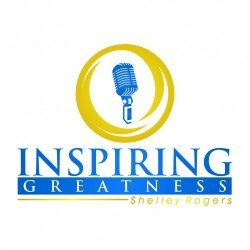 In fact, he was named one of Arizona Republic's "Top 35 Entrepreneurs Under 35" in 2012. Under his leadership, Renters Warehouse Arizona is one of the fastest growing companies in the country, making its debut at the 957th spot on the Inc. 5000 list this year. Contrary to popular sales training, you don't have to make presentations to everyone who will listen. You don't have to be subservient, forfeit your self-respect, or fake enthusiasm about your product or service. In fact, you don't have to be enthusiastic at all. And, you never have to lie! Prospects never control anyone who has mastered David Sandler's revolutionary 7-step program for top sales. 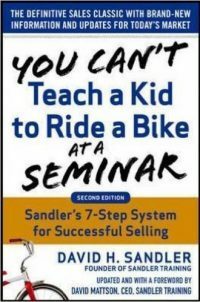 In You Can't Teach a Kid to Ride a Bike at a Seminar, you learn to master each of the fundamental principles of the Sandler Selling System® - and how and when to use them.